Setting up a CNC machine, loading/making the part program, setting up or making fixtures, loading and running parts, deburring and inspecting parts to make sure they’re within tolerance. While that is the general type of work you will be doing, the list is really endless. You must be able to problem solve, and sometimes the only time you can get something to work is if you have done it before. Experience is one of the most important traits to a good machinist. They will know what to do and when to do it. CNC machining is not for everyone, as it requires many mechanical skills. You must be good with your hands, and be able to quickly learn things. Being able to problem solve on a daily basis is a must. You will be running machines that cost anywhere from 20k, to half a million dollars, and sometimes more. With these machines, it only takes a blink of an eye to make a mistake; a mistake that could cost the company thousands. Not only are the machines expensive, but some parts that have multiple operations can cost thousands in labor time as well. Unfortunately, even the best of us mess up at times; we’re only human. The more you pay attention to everything you’re doing, and the more experience you have, the less mistakes you’ll make. A Machinist must be able to inspect his/her own parts to check whether they are in tolerance or not. If not, they need to determine whether a tool offset, work offset, or other variable needs to be changed. The more experience you have, the more you’ll be able to do on your own, which generally means higher pay. You must be able to read and write in legible English, and pass any drug/screening tests that the company or temp-agency has you do. Reading a blueprint, and knowing how to use basic tools such as: micrometer, caliper, gages, and basic drill charts are a must. Since CNC Programming has become so popular, it’s important that you have some computer skills, and being able to use CAD/CAM software is a major plus if there are openings for a programmer in the future (if that’s where you want to be at). Programmers get paid more for their ability to make part programs on 3D programming software, as opposed to the Machinists that are on the shop floor. The Machinists must be able to communicate with the programmers and/or engineers to ensure the design and processes will work, or be able to fix them if not. 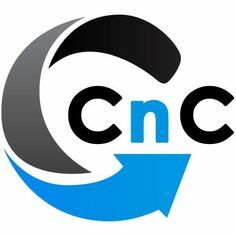 Last, but not least, a CNC machinist will maintain a safe working environment by knowing how machines work, and what not do to in certain situations. Safety is very important in manufacturing, as it is very easy for things to go wrong, and it happens fast. The more you know, the more possibilities you will have available. A machinist will continue to update their job knowledge by going to new classes, and being taught by more experienced machinists, thus providing more production to the company. What Is A ‘Billet’ CNC Machined Part? CNC Software For Machining – What Is The Best CAD/CAM System? What Is The Key To Being A Good Machinist? Do you want to be a “Button Pusher” for the rest of your life?? Machinist Square – What Shape Are Your Parts? Machinist Toolbox – What To Buy?